Champ means Champ not Chump doesn’t it? After 6 hard fought rounds against Nathan Cleverly last night, it was all over on the stool for Braehmer who told his team he couldn’t continue. The “reason” was apparently a dislocated elbow, however there hadn’t been any signs of discomfort leading up to that, in fact several times during those 6 rounds, Cleverly looked like the man in trouble, not Braehmer. At the time of the fight being stopped, Cleverly was behind on all three of the judges cards 58-56, however on my card it was 57-57 and was a very equel fight. 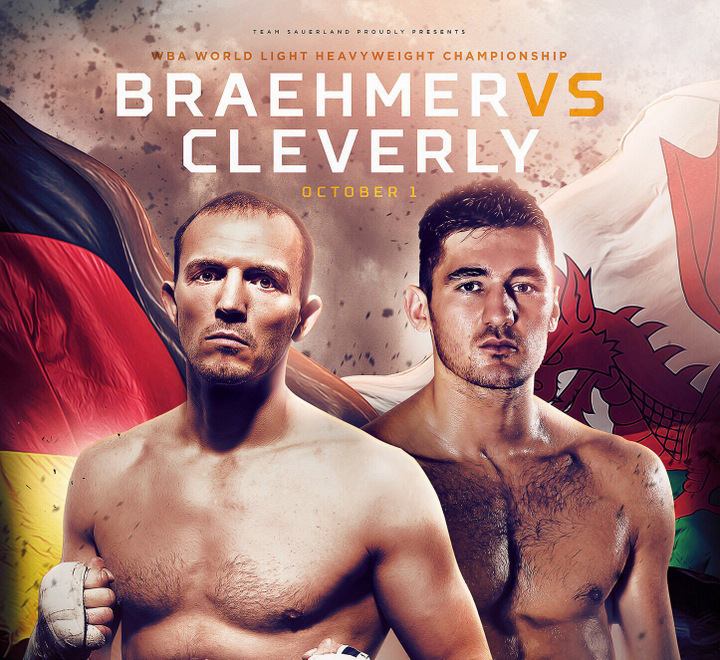 Cleverly was busy from the first round, a lot of his punches hitting gloves or arms, however busy works, especially when your opponent is 8 years older then you and perhaps his powers are on the wane. For me Braehmer bottled it and took an easy way out, holding an ice back on his arm after the fight didn’t fool anyone neither did asking Cleverly for a rematch. This is where I ask the question – “Champ means champ, doesn’t it?”. Froch said something similar when he questioned the pull out without an arm being broken. If you are a champion of the world, why would you give it up so easy? There were a lot of people saying before the fight that Braehmer was underestimated on the world stage due to him flying under the radar and mostly fighting at home against “lower ranked” opponents. It now seems that the word “underestimated” should be swapped with the word “overestimated”, a real champ would not have given his title up so easily. There has been talk of a rematch, the venue seems the sticking point (Wales or Germany), yawn, why bother? You are here: Home / Boxing News / Champ means Champ not Chump doesn’t it?